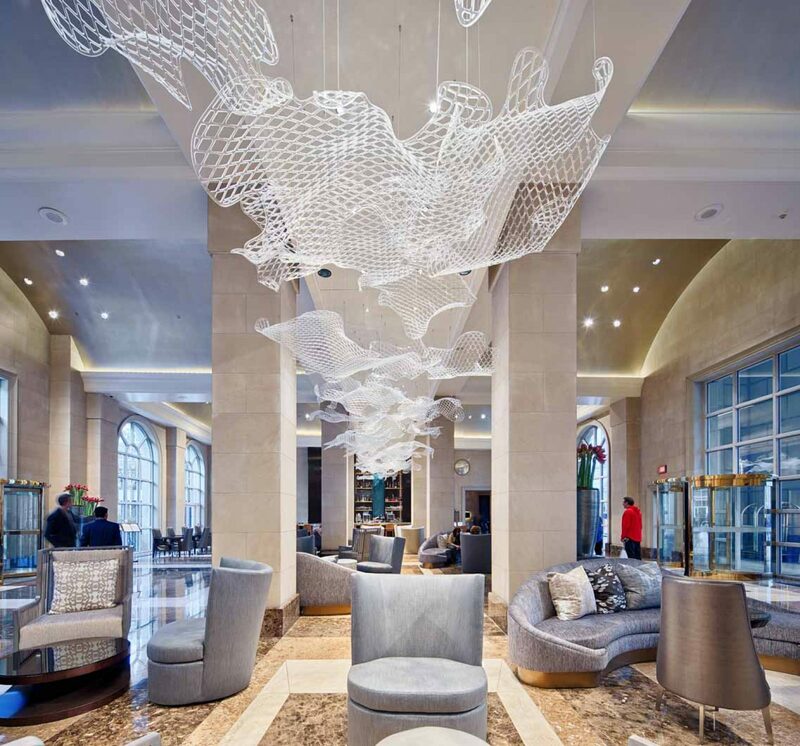 Situation > The Crescent Court Hotel in Dallas, Texas is a unique one-of-a-kind luxury lodging option that is a home away from home for various celebrities, athletes and congress men & women. 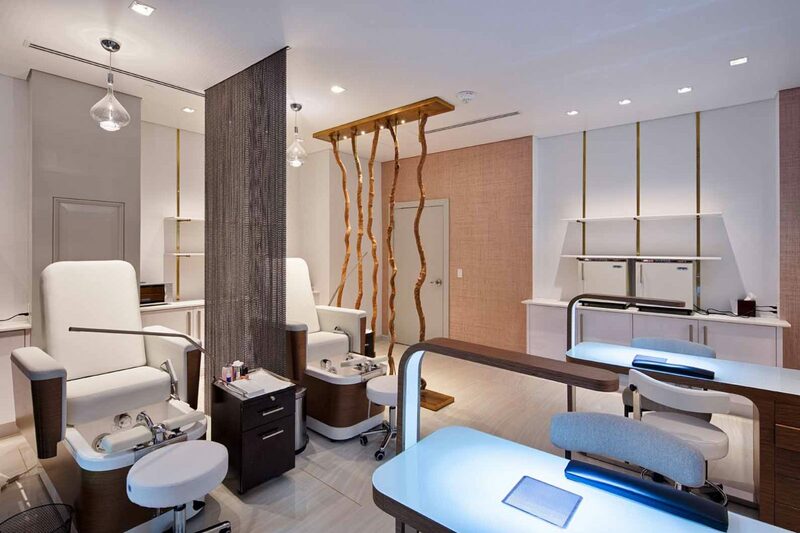 6,820 square foot lobby renovation and 17,000 square foot spa renovation over 2 floors of space in this unique high end staple hotel in Dallas. Through the RFQ process, T&G was awarded a complete remodel of the spa, sauna, and locker rooms. 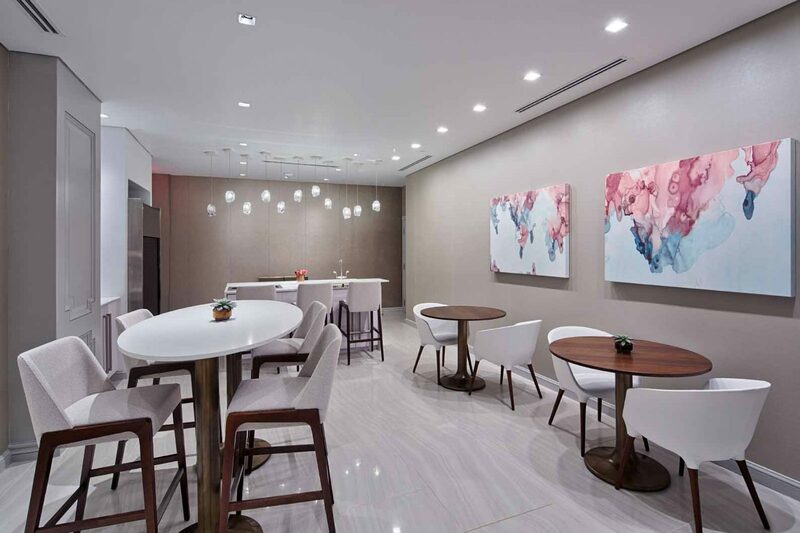 The hotel then awarded the lobby space & bar based on preconstruction services completed with the spa and the relationship we were able to create with the client. All work occurred while the hotel maintained operations and was open to guests. Action > T&G uncovered many issues during ceiling demolition that had to be remedied even through the aggressive construction schedule. Results > This soft but bold modern design turned out beautifully. The contemporary makeover boasts a simple elegance with pops of intricate detail throughout the lobby and spa areas. Decorative light fixtures were added to the lobby, along with beautiful stained mill work.Guests are indulged in the stunning new high aesthetics around every corner.